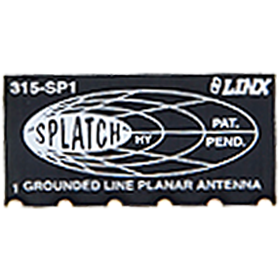 The embedded SP Series Splatch™ is great for remote controls, pagers and other compact devices. It’s available at 315MHz, 403MHz, 418MHz, 433MHz, 458MHz, 868MHz and 916MHz. The antenna’s affordable price and reflow-compatible package make it an excellent choice for cost-sensitive applications.